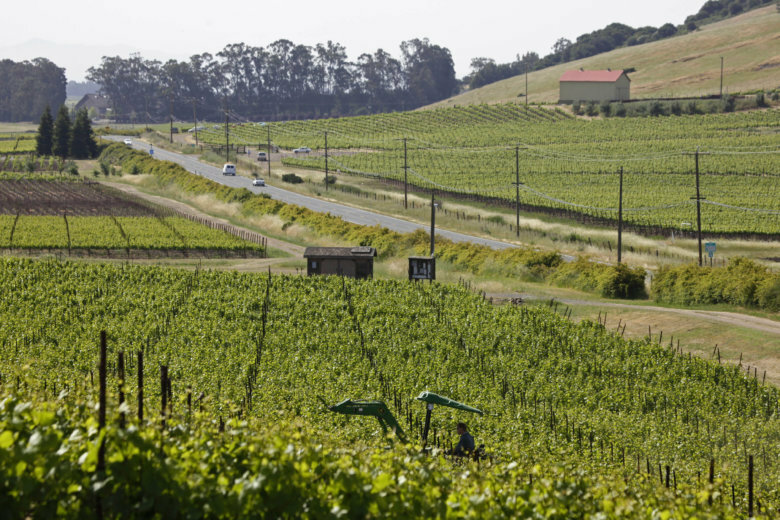 WTOP's Scott Greenberg explores the wine's of California's western Sonoma region. WASHINGTON — There are road shows and then there are road shows. This week, the West Sonoma Coast Vintners Association is on the road, bringing its wine wares to Washington as part of an educational tasting tour for consumers and those in the industry. The West Sonoma Coast Vintners is an organization of wineries and growers who are passionate about farming along the mountainous coastline of western Sonoma County. Members create wines that evoke the complexity of the region and wines that are expressive of their unique community. The West Sonoma Coast, part of Sonoma County, has distinguished itself as one of the world’s leading regions for top-quality pinot noir and chardonnay. The sometimes rugged region contains many distinct growing areas, including Annapolis, Fort Ross/Seaview, Occidental, Freestone, Green Valley and the Sebastopol Hills. This association is dedicated to preserving and protecting the history, landscape and culture of the West Sonoma Coast, and to promoting its wines to the media, trade and public. They also enjoy the benefit of sharing information and collaboration with each other, providing a forum for its members to discuss topics that include farming practices, pest and disease control, winemaking techniques and more. But at its core, the association is first and foremost a community of farmers. Here are a few of my favorite wines from the tasting that I think are worth hunting down and trying.